I’ve been in the fall protection industry for more than 25 years. 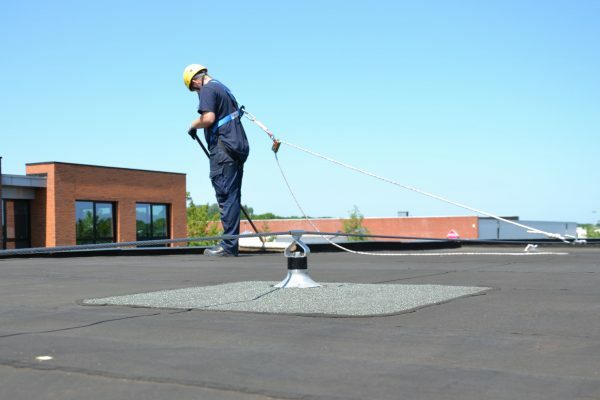 Fall protection was a rarity in The Netherlands when I started, and I’ve seen fall protection solutions evolve from simple systems with waist belts to all the solutions that are available now. I remember 20 years ago a client who built warehouses told me that safety equipment would only slow them down and make them less competitive. Thankfully, those days are over. Contractors cutting corners on safety are now a rare but dangerous minority. The vast majority of contractors out there are qualified companies with a high regard for the safety of their employees. Contrary to popular belief, the main driver of this change are not governments imposing safety standards top down. That’s only one part of the story. The change is usually initiated by companies taking responsibility for the workplaces of their employees and subcontractors; companies that don’t settle for anything less than a safe work environment. In emerging markets with few high-rise or even mid-rise buildings, there is little demand for access-to-height solutions. It’s true: there are still many countries in the world where the words fall protection do not ring any bells. Quite simply, labor cost are prioritized over employee safety. This runs counter to the policies of most multinational companies moving in from other countries. These bring their own standards. Not because they have to, but because they care. This demand sparks the interest of local businesses, which then begin to specialize and in some cases become very innovative and knowledgeable about the subject of fall protection. Then, local governments realize that their standards are inadequate. And once they start to develop or update the standards, they often turn to these multinational companies and to manufacturers for assistance. It usually takes a few years before the new standards are actually enforced. 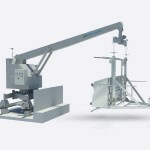 But once the importance of fall protection is acknowledged, the demand for safety solutions grows. And before you know it, a variety of suppliers are offering safety solutions; some good, some cheap. As the market becomes more informed about what fall protection is and how it is used, you’ll see that the majority has become extremely price sensitive. 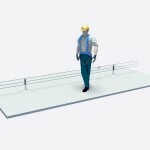 Fall protection equipment has become widely available and through training, users have formed a clear opinion about the equipment they want to work with. 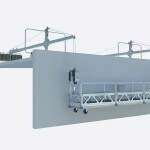 And because a lot of fall protection solutions look alike, small details seem to matter less. Of course, this is where things could go horribly wrong. As I’ve explained above, the evolution of fall protection is driven by innovative suppliers offering safety solutions to forward-looking companies with a legitimate concern for the safety of their staff. This still holds true today: safety is not just about using equipment that complies to standards; it’s about protecting the lives of real people in the best possible way. 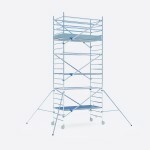 Despite the fact that most fall accidents are avoidable, working at height will always entail a certain risk. And of course, there are always companies that will find that out the hard way. Different countries currently find themselves in different stages of this evolution, but in my perspective it is absolutely certain that eventually working at height will be safer everywhere. Not only because of tightened standards, but because of people looking beyond these standards.